United Party for National Development (UPND) leader Hakainde Hichilema has lamented the death of a former UNZA graduate at the hands of PF thugs and reiterated that the UPND and all its partners are against violence being perpetrated by PF militias. Hichilema was commenting on the death of 26 year old Malesu Mukonka who succumbed to the wounds inflicted on him by PF thugs for simply putting on a UPND t-shirt. 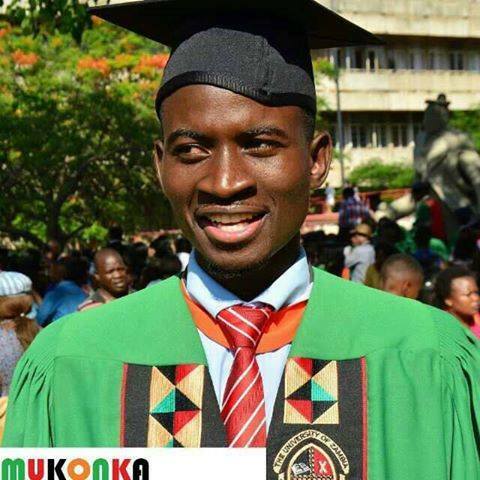 Malesu was attacked on 17th June 2016 as he was coming from attending evening prayers at church and was dumped in a football pitch on the outskirt of the UNZA Great East Road Campus. He was admitted in the Intensive Care Unit at Levy Mwanawasa Hospital until he died on Monday 27th June 2016. Hichilema said Malesu was a young man who knew that he had a democratic right to choose where to belong. ‘He has been killed in cold blood because of a democratic and constitutional right,’ Hichilema lamented. He charged that President Lungu was giving a wrong image of Zambia to the international community because of the violence and brutality being carried out by his violent militias. ‘We don’t want violence and brutality of any kind but the difficulty we have is our UPND members are victims like Malesu,’ Hichilema said. Malesu’s funeral is being hosted by the president of the Seventh-day Adventist (SDA) Church in Lusaka Conference, Dr Edwin Shimunzhila who is the uncle to the deceased. Malesu will be buried in his home village in Namwala on Wednesday after a church service to be conducted in Lusaka at Libala SDA Church.